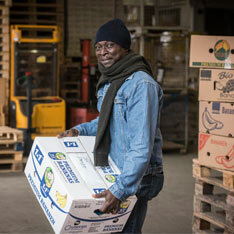 Global Aid Network (GAiN) is the preferred humanitarian partner of Agape Europe. GAiN is involved in various relief aid activities in Germany and in other refugee hotspots around the world. Many Syrians and Iraqis from the southern and western regions of their countries are now living in warehouses, unfinished buildings or on building sites, in open halls or in small rental accommodation along the northern Iraqi border. GAiN has been helping in this region since the summer of 2014 through distributions of humanitarian aid materials to families as well as organizing suitable accommodation and work opportunities. They are also involved in providing materials for improvised schools and clinics in the area. Unrest in the Ukraine has led to more than one million people being displaced from their homes as they fled fighting in the east. Despite an official cease fire, returning remains out of the question for most as many regions were devastated by the bombing. 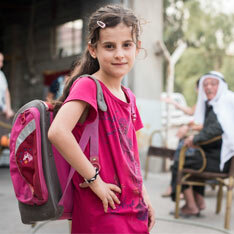 GAiN helps refugee families with clothing and financial support to rent apartments. In cooperation with other partner organizations, GAiN has already been able to help refugees traveling along the Balkan Route, and these activities will certainly continue whenever opportunities arise. 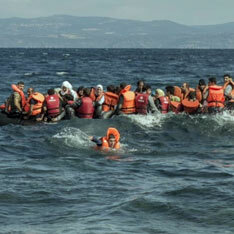 In Sicily, GAiN works with refugees who have just arrived by boat in Lampedusa and are stranded on the coast. These people are taken to camps in the area. 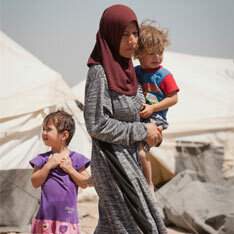 GAiN staff work in some 60 camps, distributing clothing, blankets and food. They have also had opportunities to work directly with the new arrivals on the beach, helping them change out of their dirty, tattered clothing, which has to be burned afterward. In Giessen (location of the GAiN and Agape Germany headquarters), staff and volunteers support local organizations and groups by providing donated items to distribute among arriving refugees. In order for this work to be sustainable, GAiN wants to engage refugees themselves in the process of sorting and distributing aid items. This is a natural opportunity for local people and foreigners to work together and an excellent way to integrate into local culture. Photos by C. Dewald, W. de Vos.